Our modern “common sense” of how the world works is different now than when the Bible was written. This is part of who we are — and we need a faith that doesn’t ask us to deny this. Simply put, how we explain our faith must make sense to us. (This “explanation” is not the same as our faith — see chapter 8.) Yes, we can do this — in fact, we must do this. We can speak of God without abandoning modern science (see chapter 11), and we do not have to conform our understanding of the world to someone else’s narrow interpretation of the Bible. If we are to be true to our selves and our understanding — how do we deal with this strange and beautiful and ancient book, the Bible? We are people of the Book — it is the source of our religious truths. But to treat it as all literally true is neither sensible, nor faithful to the Bible (which expresses different opinions in different places), nor faithful to Jesus of Nazareth (whose teaching we claim to follow even when they disagree with other passages). Nor is it faithful to God. Only God can be perfect. To treat as “perfect” anything written by humans like you and me is not only foolish — it is idolatry. Some would have us believe in a God who controls everything that happens — a God who goes “zap” into the events of this world to make them turn out a certain way. But this view can’t survive acknowledgment of the pain and suffering in the world around us — not if we are honest with ourselves. Such a view of God does not fit with our common sense. And it does not fit with our faith in a loving God. If we make ourselves confront even a small portion of the vast misery on this earth, we cannot escape this: there is suffering in the world for which there is no good reason and no good purpose. We can’t say that God causes this suffering for some mysterious greater good. The God of Jesus Christ doesn’t work this way. We do not worship some calculating, small-time pagan deity who accomplishes an unknown good only by inflicting pain on the innocent. And it doesn’t suffice to allude to the grandeur and majesty of God. Poetic renderings of God, as beautiful as they are, cannot justify the suffering of one innocent child here where we all live, in the shadow of the valley of death. If we cannot believe in a God who goes “zap”, then what do we do with the miracles in the Bible? As for us — if we don’t believe that God goes “zap,” then miracles just can’t have religious significance for us. After all, if you saw someone today walking across a river near you, you would think it puzzling. You might want to find out how it was done. But you wouldn’t chase after this person and ask how to live or how to pray. It wouldn’t have that kind of meaning for you. Can This be Christian? 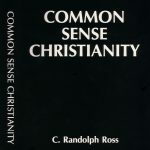 Can this way of approaching God, and the Bible, and the miracles — as sensible as it seems — fit with the Christian faith? The Resurrection: Probable . . . but Significant?